On the day Luna proves that she is powerful enough to be her father’s heir, she is banished for saving the life of an enchanting human boy. Her father, the king, gives her two options: kill Ian and regain her honor by the time she comes of age, or be destroyed. Luna finds shelter in forbidden waters and comes under the protection of her father’s greatest enemy, the Sea Witch. As her ward, Luna becomes a fearsome warrior, but struggles with the fear of turning her powerful magic dark. With only days remaining before her seventeenth birthday, Luna finds Ian sailing the seas in search of answers. Luna is determined to escape her father’s wrath, and the Sea Witch’s plot of revenge, but dark forces won’t allow her to live a human life without making an impossible sacrifice. Want to receive a free song inspired by the book that Christina sang herself? Fill out this form here before Sept 9th! When I returned to the lair, the Sea Witch was much too distracted gutting her catch of shark to care much about my adventures. She had no idea that I had found Ian and kissed him. I wanted to keep it that way. For all she knew, I spent my day with Napa, and I most certainly didn’t fight my sister to the almost death. I made sure to heal my wounds before she saw me. I hid the pendent, dagger, and lock of hair in a satchel and hoped the Sea Witch wouldn’t be able to sense the magic. I also had to hope that she wouldn’t sense any special magic in me. It was odd that I wasn’t fatigued from my battle. Instead, I felt energized. My magic was leaking out of my body. I tried to keep my movements limited and to remain completely calm. “Very.” I grinned hard and continued feasting, but I had the sense that she knew I was hiding many details from her. It’s not that I didn’t trust her. I just wanted to make sure she would take the news well, so I didn’t have to worry about her killing everyone outside of our immediate sphere. It wasn’t easy. I wanted to tell her about Ian’s infatuation with me. It was flattering after my father threw me away. I wanted to tell my mother how his smile enchanted me, and now, I was under his spell. I tried to get him out of my head, so the Sea Witch wouldn’t find out, but while I brushed my hair and stared into the broken mirror Napa gave me, I began to imagine that I was staring at myself from his point of view, and I knew I was truly as beautiful as he made me feel. The thought of never seeing him again was crushing my heart and suffocating my insides. There had to be a way to see him again beyond tricks, smokes, and mirrors. I was so embarrassed that I kept my eyes focused on the teeth of the comb in my hands. I was responsible for ruining Ian’s childhood, and I delayed his life afterward. I didn’t deserve to feel such a consuming joy, especially if Ian were the root cause. “No. That would be ridiculous, but it is possible that you’re drawn to each other for a reason.” She, once again, became agonizingly uncomfortable. I didn’t back away or cower from her glaring and curious eyes. I tried to be firm while I blanketed my mind with thoughts of training battles, meditation, and the past few lonely years of my life. I would not think of Ian, and I certainly wouldn’t think of the kisses we shared! Was it truly possible that Ian made me feel stronger? Was he the reason why I could use my magic to fight my sister so effortlessly? Even if it were true, what did it matter? I only wanted to control my magic so it wouldn’t accidentally go dark. I had no desire to be the greatest sorcerous in the world. It was silly to think that I could take human form and live with Ian. I hardly knew him. But, for some reason, the thought of leaving to discover the world with him began to fill my chest and gut with a ticklish light that turned into a glorious rumbling. I clutched onto my chest as I felt it vibrating. My entire body was radiating heat. I tried to convince myself that I was merely embarrassed, but my hands were tingling. As the daughter of sci-fi enthusiasts and a pastor, Christina L. Barr has been taught to believe that anything is possible. 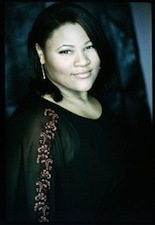 She’s been a serious composer as far back as twelve-years-old, and has had the opportunity to sing her songs around the world. In 2007, she graduated from Holly High School number nine in her class and attended College for Creative Studies. She started a pop culture website called The Gorgeous Geeks with her two older sisters, and was even featured on Times Magazine. Her addiction to writing emerged when she was eighteen and started her first novel. To date, she has nine novels published, fourteen completed, and her goal is to finish thirty books by her thirtieth birthday. She is currently a Creative Director and spends her days making graphics and videos. 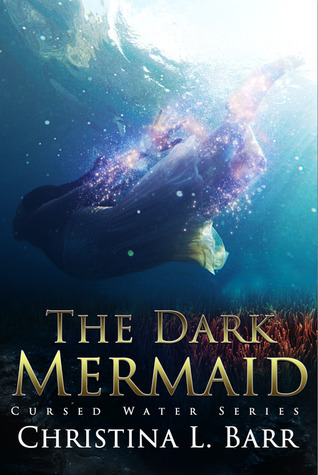 Enter for a chance to win A signed copy of The Dark Mermaid, a starfish necklace and earring set, a signed poster, bookmark, and pin! Good Luck!